The world over recognizes Italy as the pizza capital of the planet, with of course, competitive rivals from Chicago to New York. In Italy, however, it’s personal – you literally have your own pizza, about 8-9″ in diameter; an imaginative canvas for toppings, from margarita to quattro-stagione, pizza in Italy is thin, slightly crunchy, and with an ‘old-world wood-fired oven’ intensity. There isn’t a doubt in my mind that Italy reigns supreme when it comes to pizza. But what I love most about pizza in Italy is how it transforms: changing shape, texture, and flavor in any, and with every, occasion. Calzones, pane pizza, panzerotti are just a few of the vast “Pizza Family” and are eaten at parties and festivities, big and small. 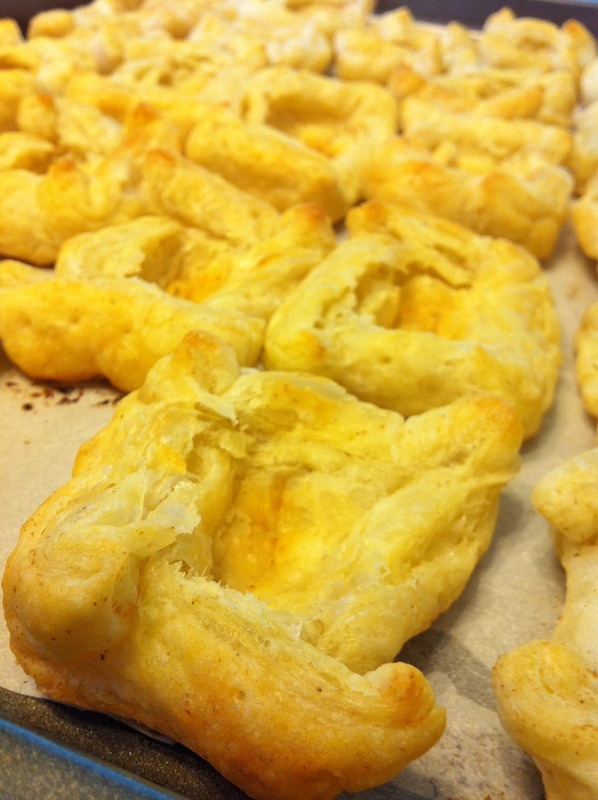 And then, there are Pizzette. They start the party. Every party – birthdays, christenings, baptisms, engagements, weddings, and every other major event and intimate celebration – begins with pizzette, as well as with other pastries, passticcini, charcuterie, olives, and plenty of prosecco, aperitifs, and vino. I find myself craving these bite-sized pizzas, tangy and flaky…they are so ‘Italian aperitivo.’ Aperitivo precedes dinner, gets the appetite going, and relaxes you for what will typically be a never-ending parade of plates and eating extravaganza. 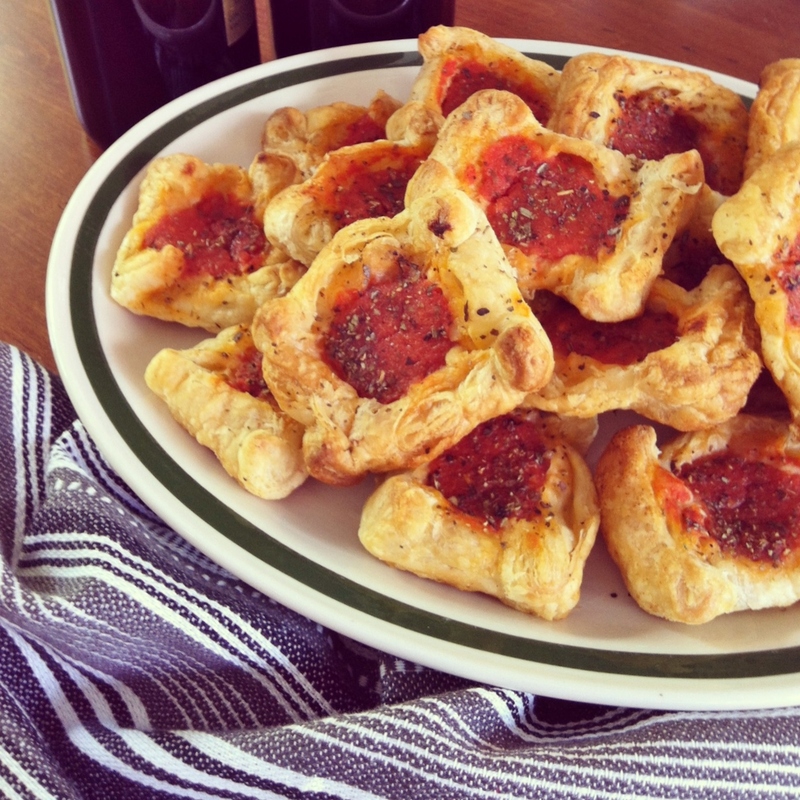 Here’s my take on ‘pizzette’ using Pepperidge Farm Puff Pastry and Tuttorosso Peeled Plum Shaped Tomatoes – it’s a quick, easy, and plentiful recipe that is perfect for picnics, aperitivos, happy hours at home, and of course, parties. 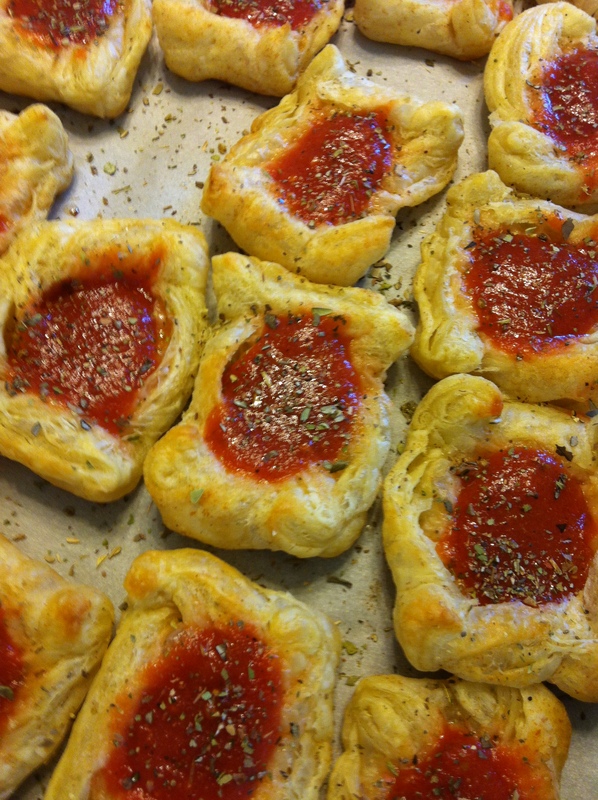 When I first made these, and accompanied each bite with Prosecco, it immediately reminded me of so many memorable celebrations I’ve experienced in Italy. I hope you enjoy! Auguri e Buon Apetito! 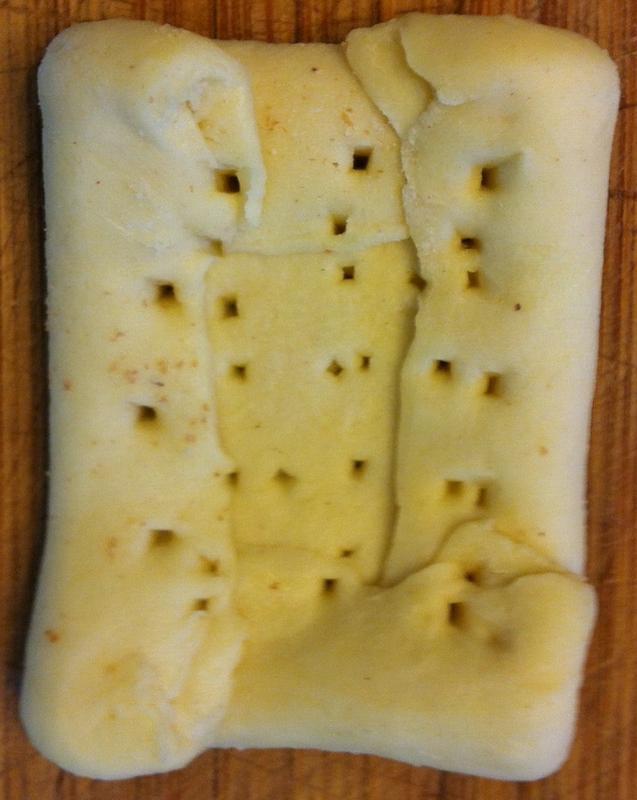 Thaw the puff pastry as indicated by the package. Lay out both sheets, side-by-side, onto a floured work surface. 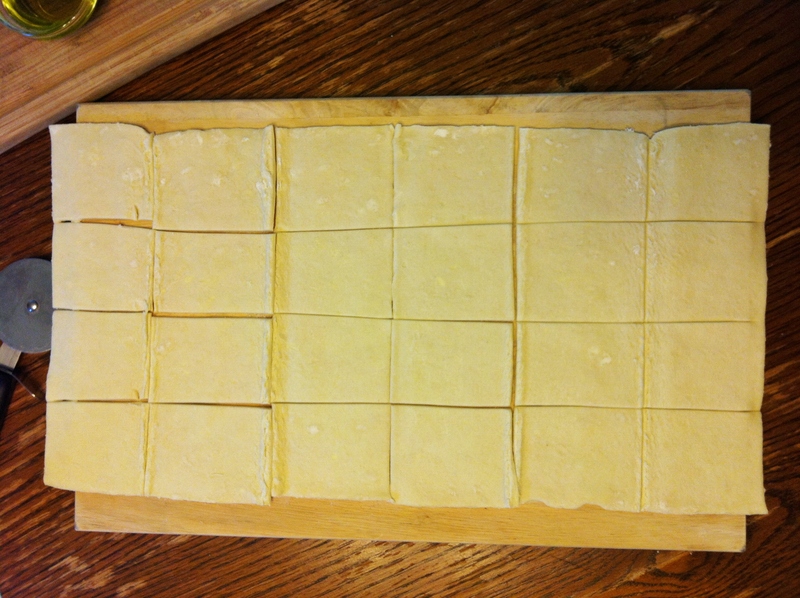 Using a pizza cutter, cut both sheets into equal squares, to total 24 squares. 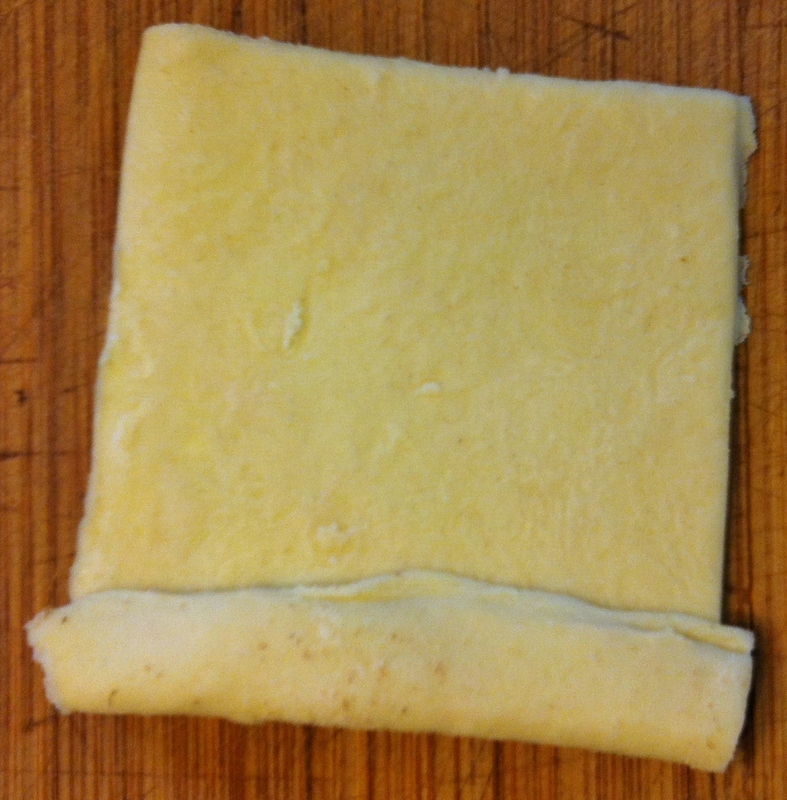 Fold over one side at a time, working clock-wise, pressing lightly to secure. Once all 24 are shaped, pierce with a fork. 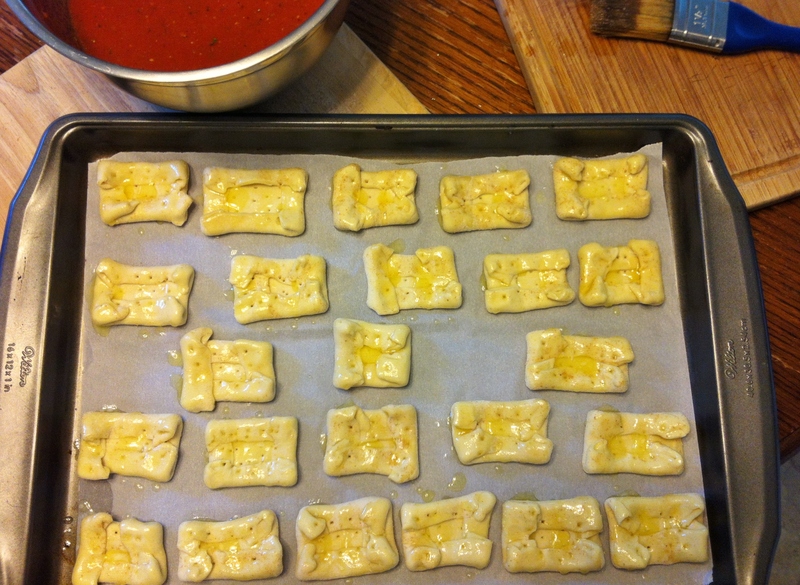 Place the ‘pizzette’ shells onto a parchment lined 13″ x 18″ baking sheet, and brush each one with melted butter. Bake for 15 minutes at 400 F until golden and crispy. Remove from oven, and allow to cool slightly. 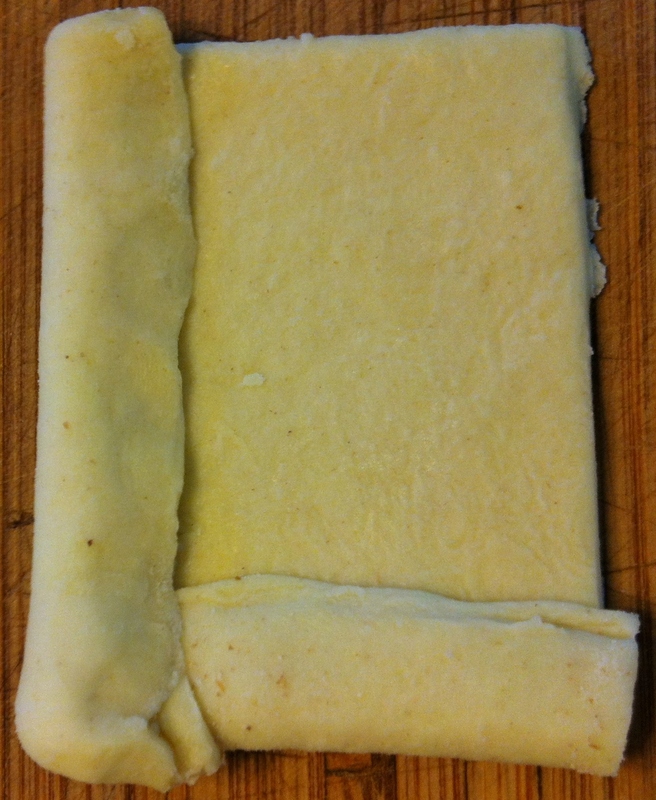 Use a tablespoon to press down the puffy center careful not to damage the sides/walls of the puff square (you’ll be adding sauce in the center). 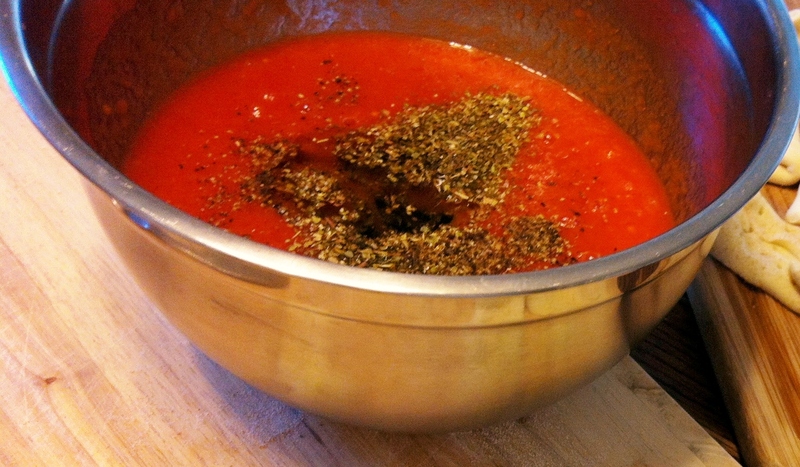 Puree the plum tomatoes with the juice until smooth. Add the olive oil, salt, black pepper, and half of the oregano (save the other half for later). Mix until thoroughly incorporated. 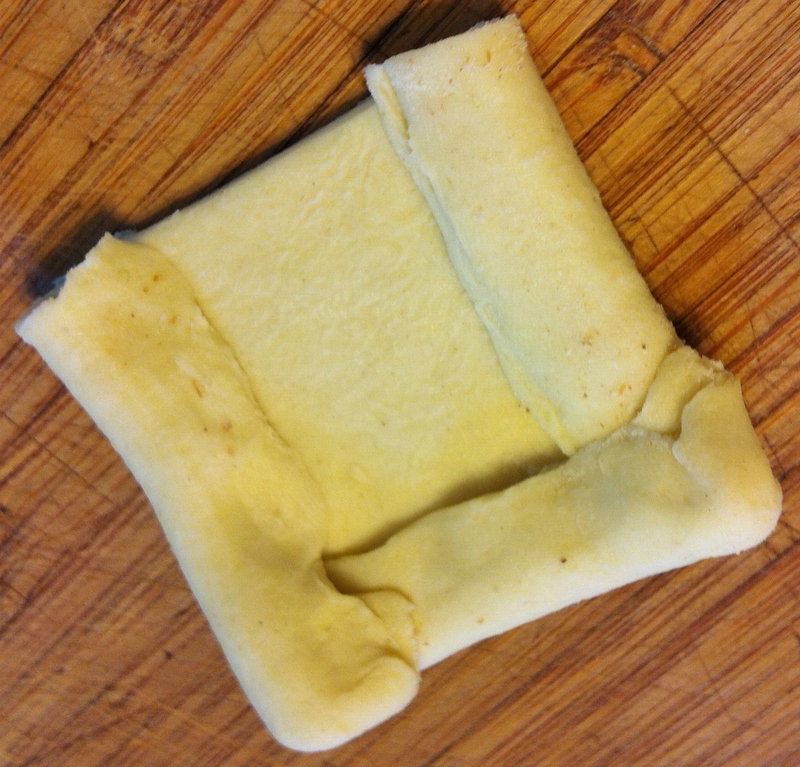 Using a tablespoon, add one and a half to two spoonfuls to the center of each pizzette shell. 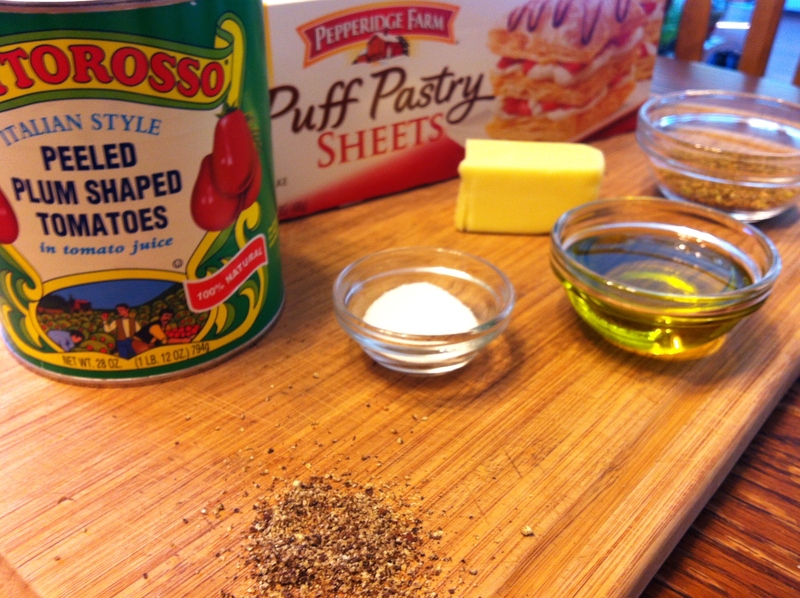 Sprinkle each with a little dried oregano (that you had saved from before). Bake an additional 15 minutes at 400 F. Remove and allow to cool. For an extra kick and if you like, sprinkle grated Parmesan before baking or after removing from the oven. I also like to use these as vehicles for caponatas and tapenades.